Offered is an original TYPE I photograph that measures 8x10 in size stamped on the back March 15, 1930 with the original paper caption attached. Great closeup shot of Ruth smiling after he reported to spring training . 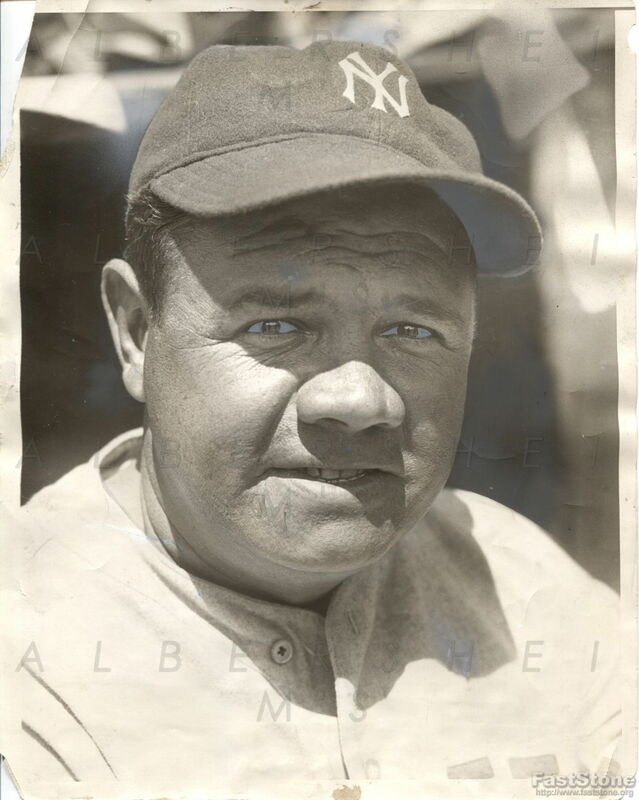 The Bambino had just signed a 2 year contract for $160,000 with the Yankees. This photo definitely was used by the newspaper. Some paper loss on the corners and some creasing, but overall a really nice shot of Ruth in his prime!